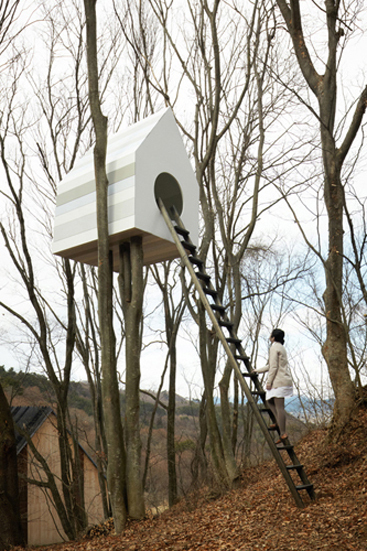 Last year, we featured a non-slip Alcantara Birdhouse (Alcantara is a suede-like artificial leather) created by Nendo. 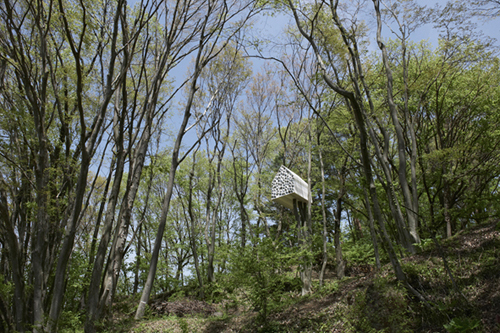 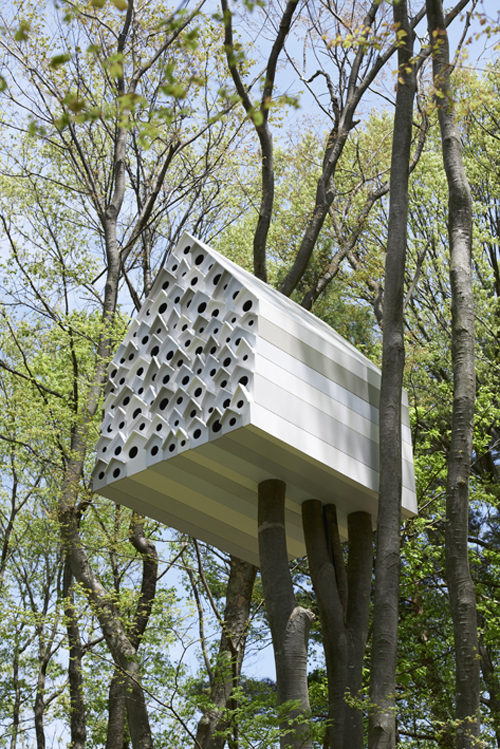 This year, Nendo has designed yet another birdhouse – but a much bigger one – in the Momofuku Ando Center in Nagano, Japan. 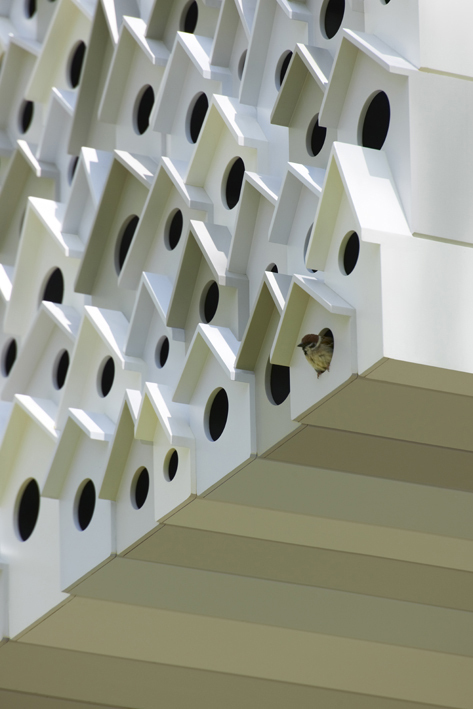 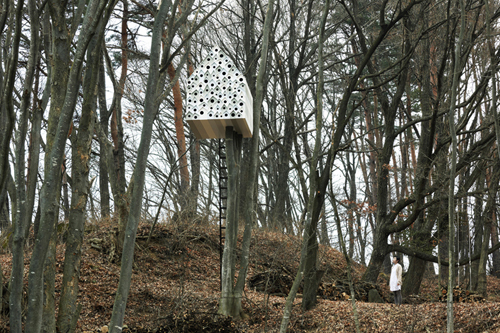 This birdhouse features 78 nesting spaces for birds on one side, and then on the other 1 space to accommodate one human. 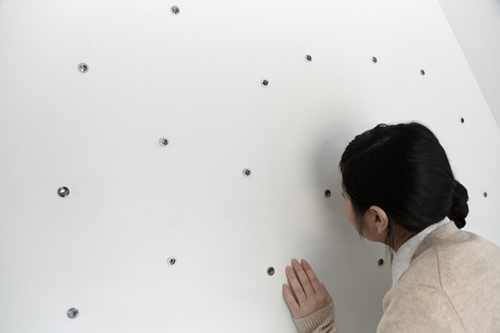 Inside the “human space” one can look into any of the 78 spaces on the other side.